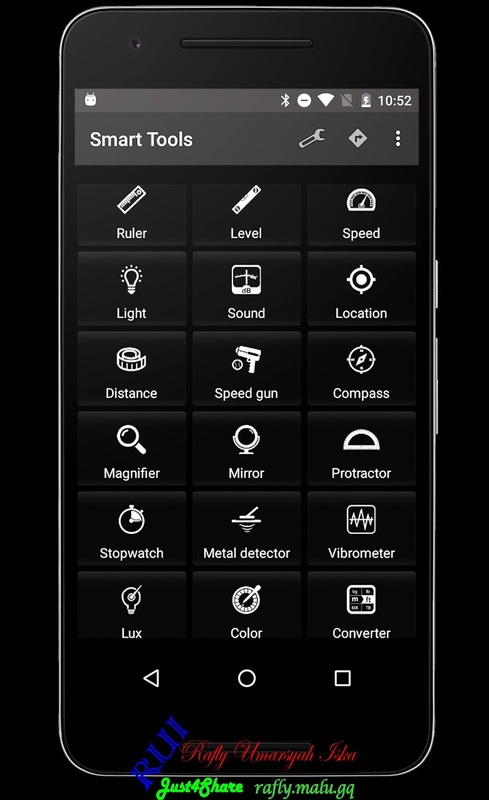 Smart Tools PRO v14.2 Apk is a handy tool box app with 40 smart DIY and metering tools like bubble level, ruler, compass, distance meter, unit converter, DB meter, protractor, stopwatch, NFC, bar and QR reader… Use device’s in-built sensors in all in one tool box app, handy like a swiss army knife. Tools support both unit formats (metric unit/imperial unit) and several languages. The app supports all device brands (Samsung, Sony, HTC, LG, Huawei, Lenovo, Toshiba and others). However, not all models have the appropriate sensors to support all the tools. It is tested mostly on Samsung, Sony, HTC, LG, Huawei, Lenovo and Toshiba. Feel free to email me if you find any bugs or need any help with the tools.